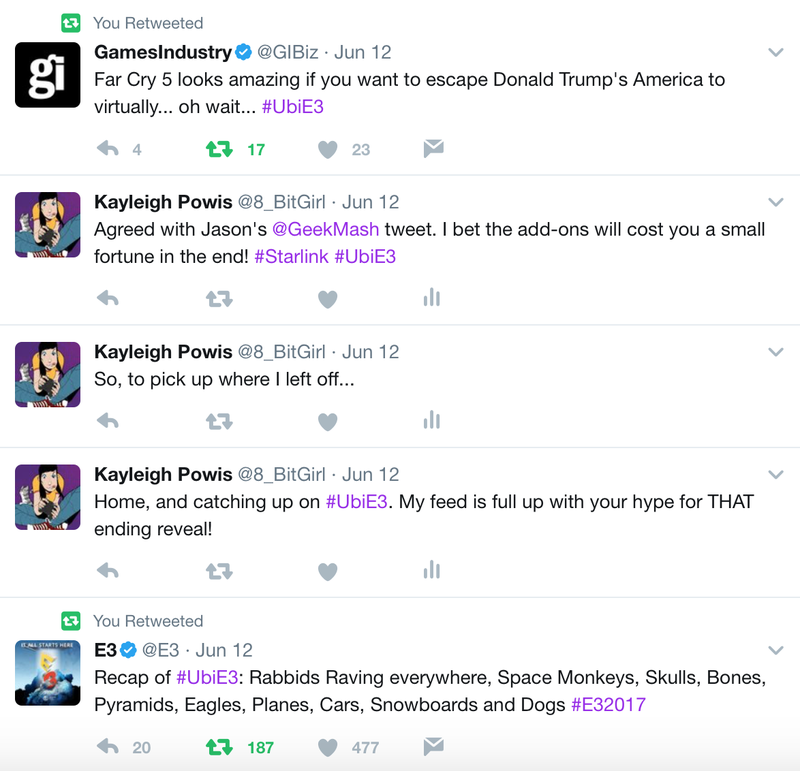 I live-tweeted E3 2017 this year, giving my thoughts as the announcements dropped. 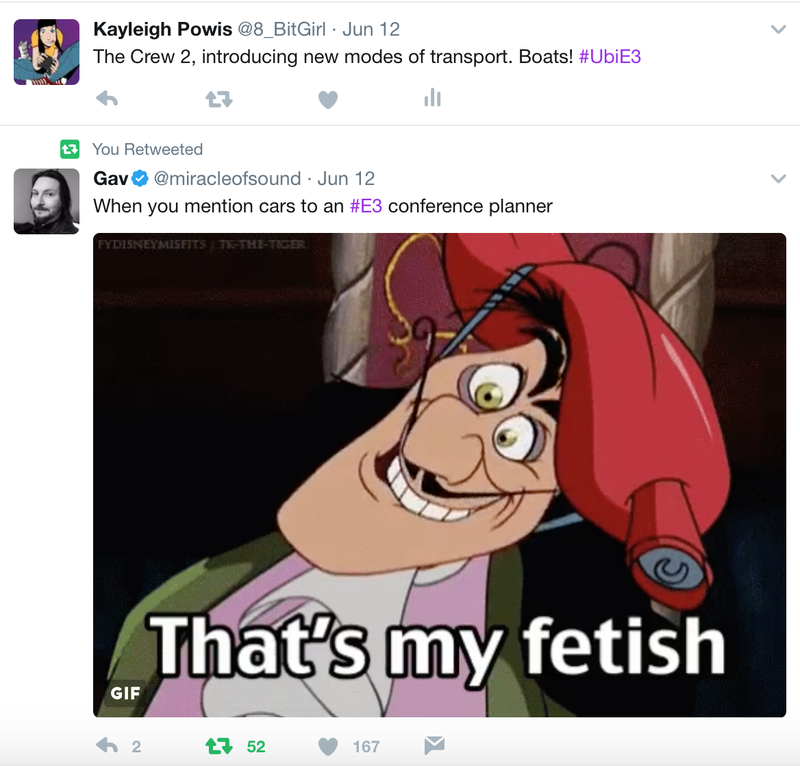 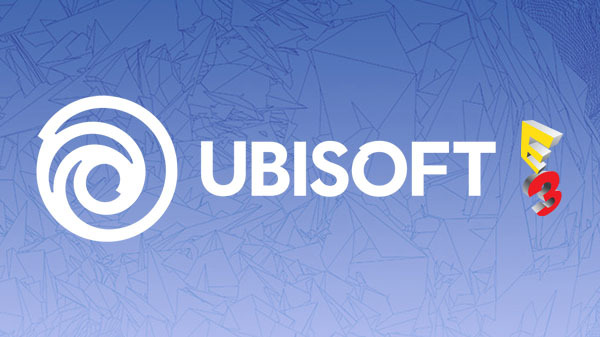 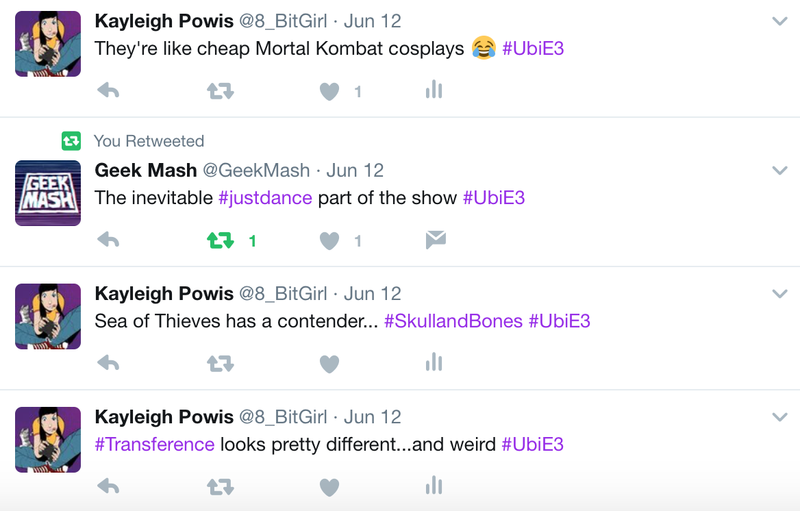 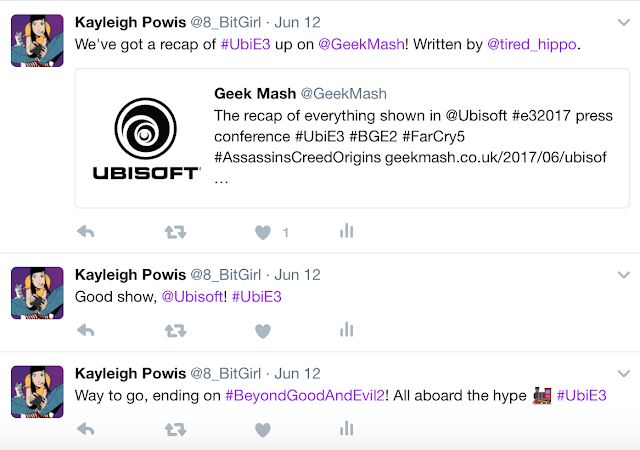 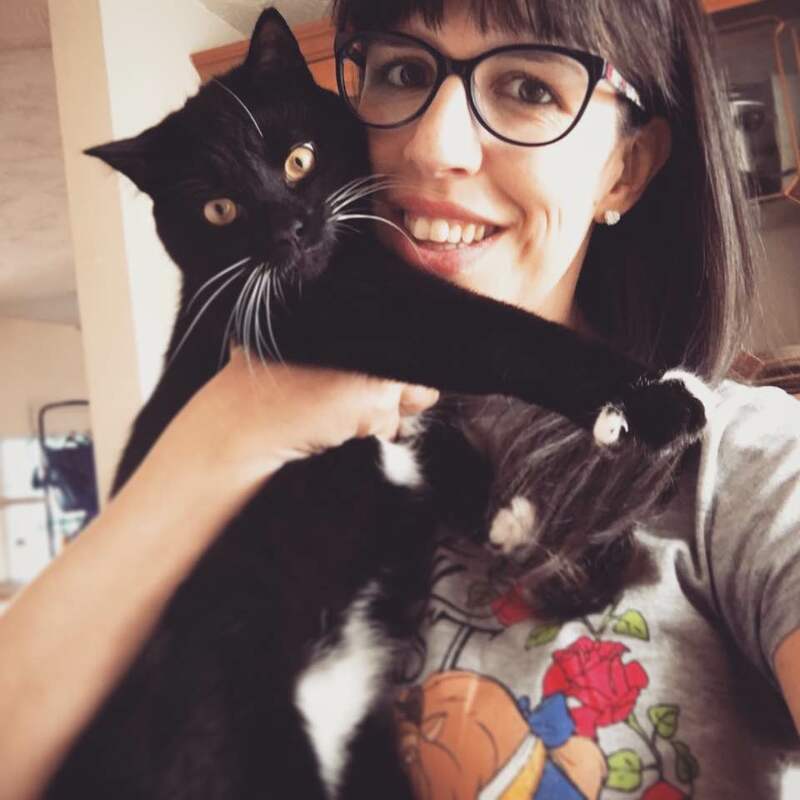 Yesterday, I shared my collection of tweets from Xbox's E3 2017, and today's blog covers Ubisoft. 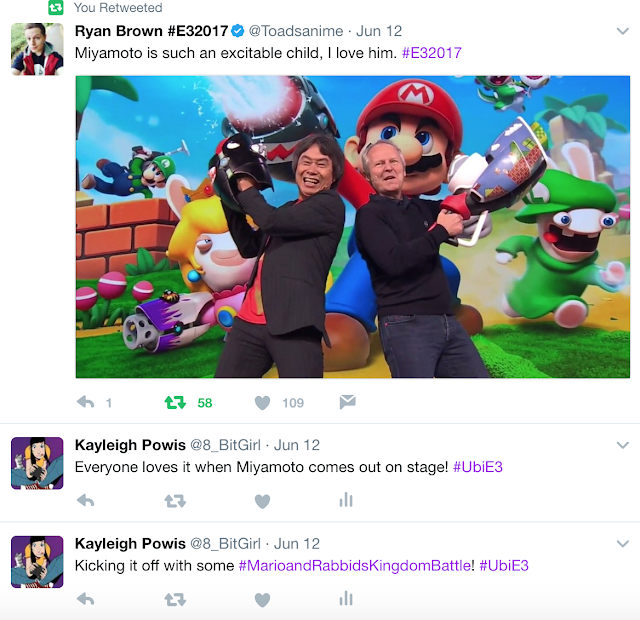 Catch everything I personally tweeted, or re-tweeted from others, below!